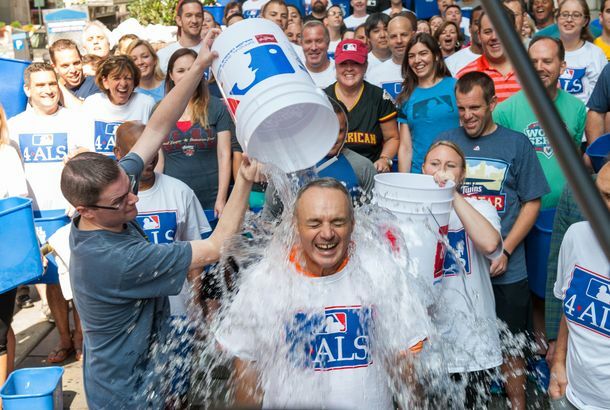 So, the Ice Bucket Challenge Actually WorkedResearchers used the funds to discover a new gene. Turns Out That the Ice Bucket Challenge Was a Hugely Effective Bonding RitualAnd the effects are lasting. Get Ouuuut: Donatella Versace Accepted the Ice Bucket Challenge With shirtless male models and Versace buckets. George R.R. Martin Does the ALS ChallengeWinter is coming. Benedict Cumberbatch Got Naked for His Ice Bucket ChallengeIt’s a win for ALS and it’s a win for us. Which Celebrities Are at the Center of the Ice Bucket Challenge?Splash. Anti-Abortion Activists Are Doing Their Own Ice Bucket ChallengesBecause the ALS Association supports stem-cell research. Lindsay Lohan Does the Ice Bucket Challenge at the ClubWith Champagne buckets. And Now, a GIF of Anna Wintour’s Ice Bucket ChallengeJust put it on repeat. The Foo Fighters Reenacted the Prom Scene From CarrieAnother creative ALS ice-bucket challenge. The Ice Bucket Challenge Is a Medical DisasterScratch this off your bucket list, America. Amy Schumer’s Ice-Bucket Challenge Has a Surprise EndingYum. Chris Pratt Tries to Avoid Ice-Bucket Challenge, FailsThe internet’s two favorite things.